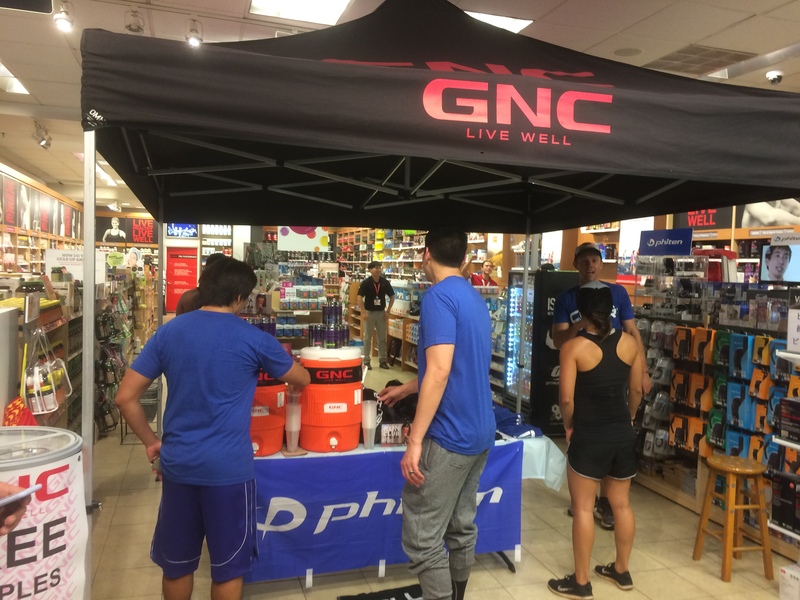 GNC Run Club in Hawaii at GNC Ala Moana Store! 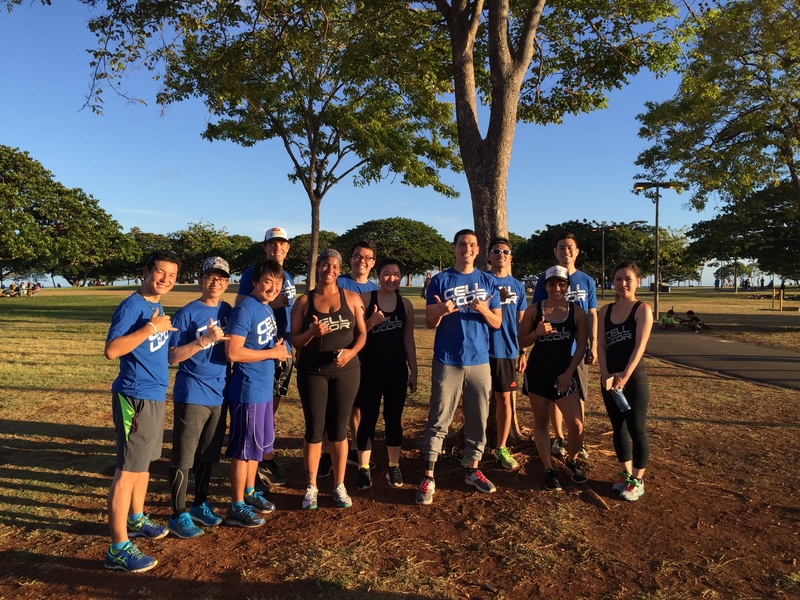 GNC Run Club in Hawaii has just started on 7/11/2016! It was an idea by Mr. Mike Jones, the store manager of GNC Ala Moana. “We as GNC want to give back to local community by promoting health in general. So we wanted to establish a Run Club available to everybody for FREE. 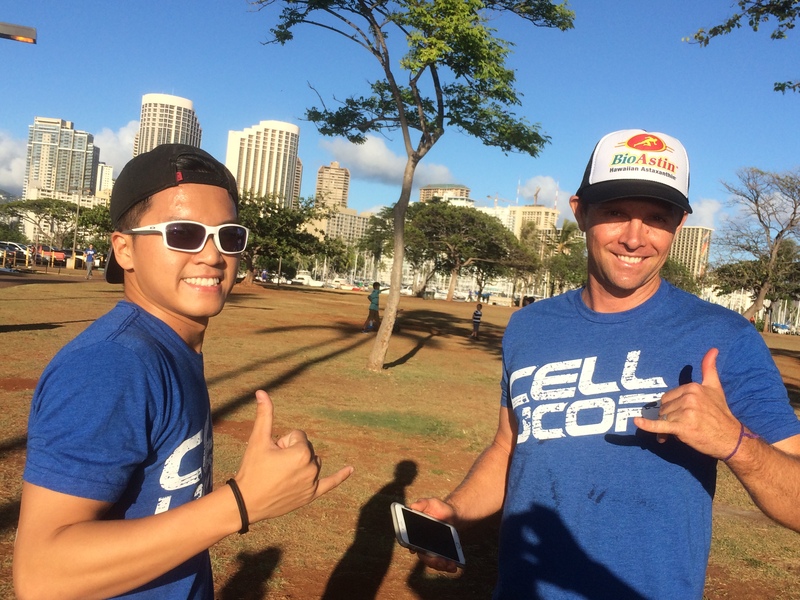 Also, we are so fortunate to have sponsors such as Phiten Hawaii, BioAstin, Cellucor, Conju, and others who are on the same page as us GNC in regards to wanting to contribute to the local community though promoting Fun Run. We would like to see as many people as possible becoming healthier with greater smiles!” said Mr. Mike Jones. So we get together at GNC Ala Moana Store on every Monday at 530pm. We have Coach Tim Marr, who is one of the most famous Triathletes in Hawaii. He coaches for Lanika Juice Run at Kakaako location as well. We learn how to stretch from the top coach/triathlete! Phiten Titanium Calf Sleeves are the Store Manager Mike’s most favorite item! On the top of that, many were using Phiten Titanium Tape and Phiten Masage Lotion. 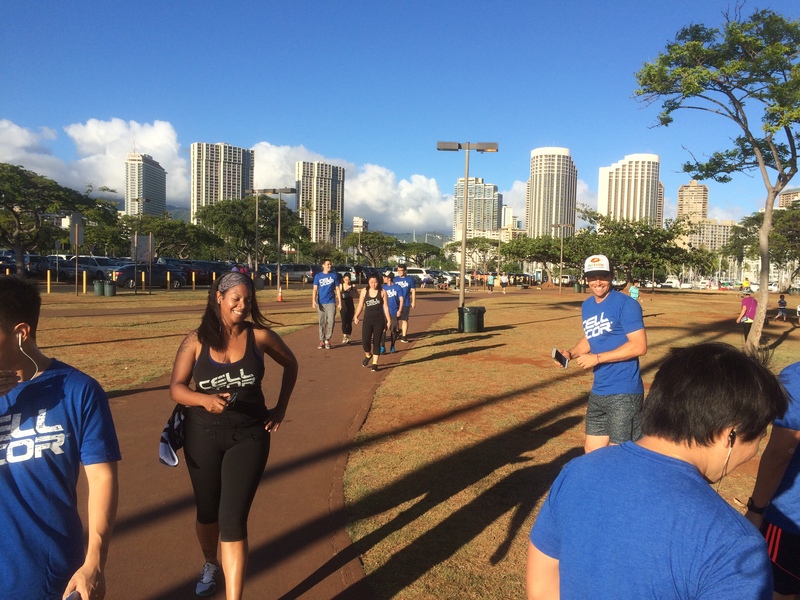 The primal running course for GNC Run is in Ala Moana Park especially around Magic Island. Its views are stunning all around Magic Island. As you might know that many wedding couples are taking pictures here. Families are spending time at Ala Moana Beach. Just such a nice vibrations that you can feel here. On this day through GNC Run, we did a half mile run x 4 sets. 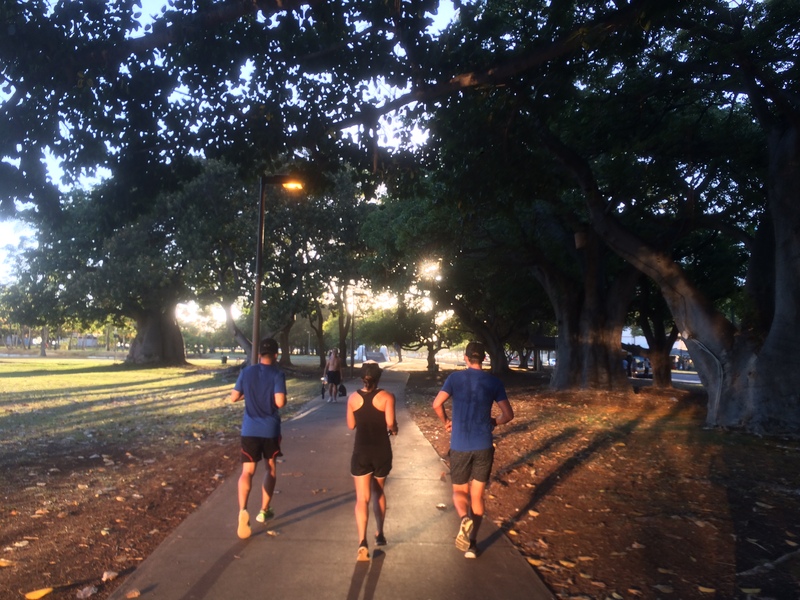 Coach Tim required us to run every set faster than the run prior… We got to learn how to pace ourselves. Everybody did a great job! We even had some people who did not run for so many years! It’s OK since this is for Fun Run! You can pace yourselves the way you feel comfortable. Nice breezy run back to GNC Ala Moana Store. 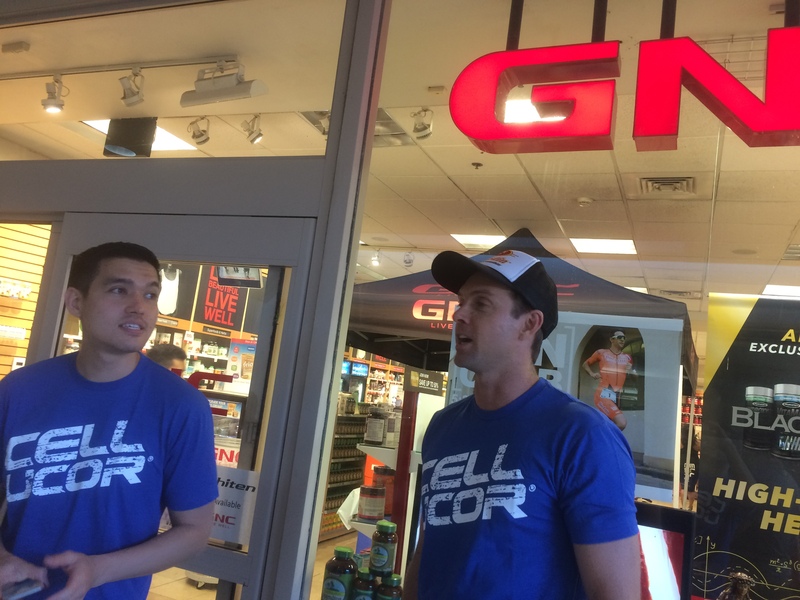 Then, back in the nice air conditioned GNC store, Cellucor Amino Drinks were there for post run recovery. And also all the great FREE goodies were prepared by many sponsors. Of course, everyone gets to have so much % off coupon redeemable at GNC Ala Moana Store!! Overall, with this GNC Run Club, we can definitely have Fun Run, get together and meet more people in this community, feel great with nice run exercise, all FREE goodies that many top brands provide exclusively for GNC Run Club participants so that we can get to try it to see how it works right then and there!!! 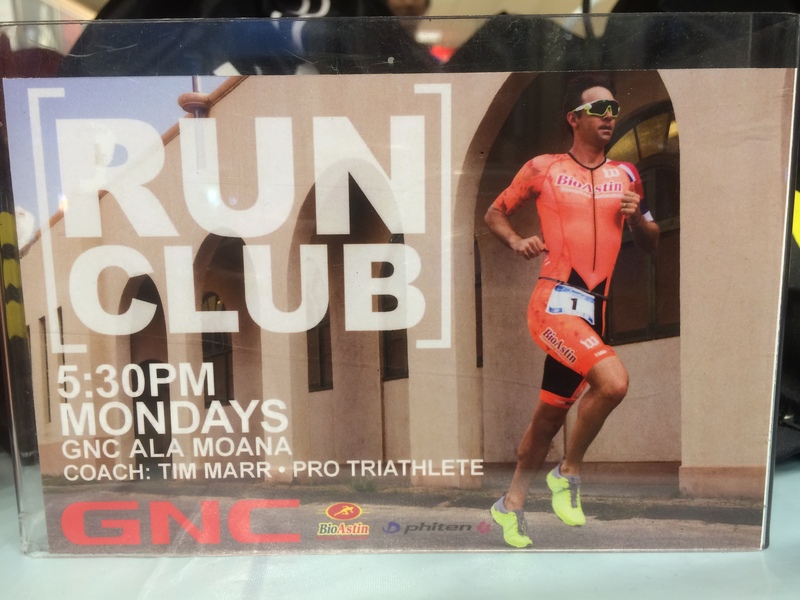 Again GNC Run Club starts at 530PM every Monday at GNC Ala Moana Store! It’s about one hour session. Please stop by GNC Ala Moana and see all the details and results. Let’s have Fun Run together!